Skateboarding has had it’s share of household names since finding itself back in the mainstream. 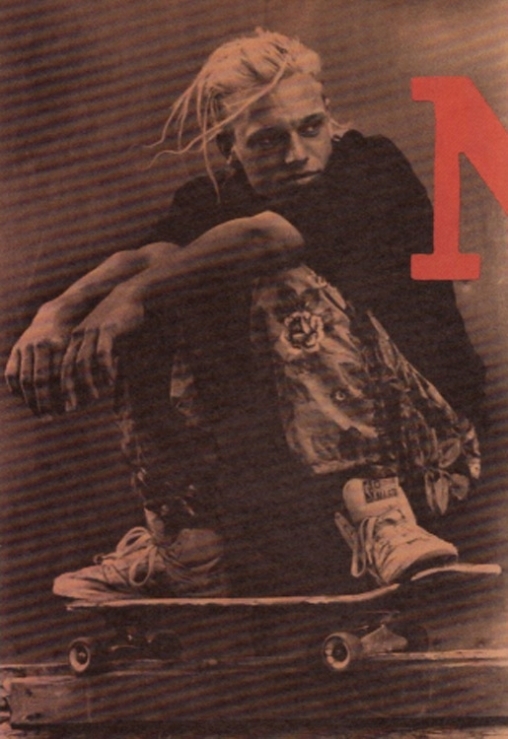 Tony Hawk and Rodney Mullen are often the first to be mentioned when thinking back to the 80’s boom while the casual observers tend to be more aware of younger guys like Bam Margera who have taken their profile to a wider audience now that MTV and the like are keen to provide them with a platform. A name that gets less than it’s fair share of recognition is Natas Kaupas. To me, one of Skateboarding’s greatest strengths as a culture is its ability to be different things to different people and Natas really personifies what it’s meant to me over the years. The guy got involved on his own terms and carved his own route, that’s what it’s all about. Later, he would use that same personalized passion and drive as he began to get involved in related business ventures. Eventually finding himself as an art director he continued to turn his dedication and love for what he was involved with into some seriously fresh, original and influential styles. Posted in Culture, Design, Documentaries, Illustration, Skateboarding.